Italian illustrator Emmanuel Viola has a bold style that is influenced by anime with bright colors. 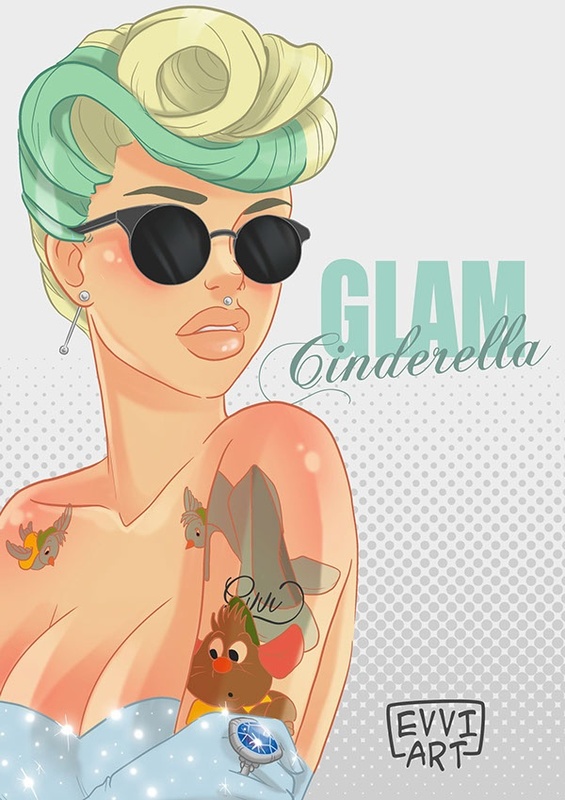 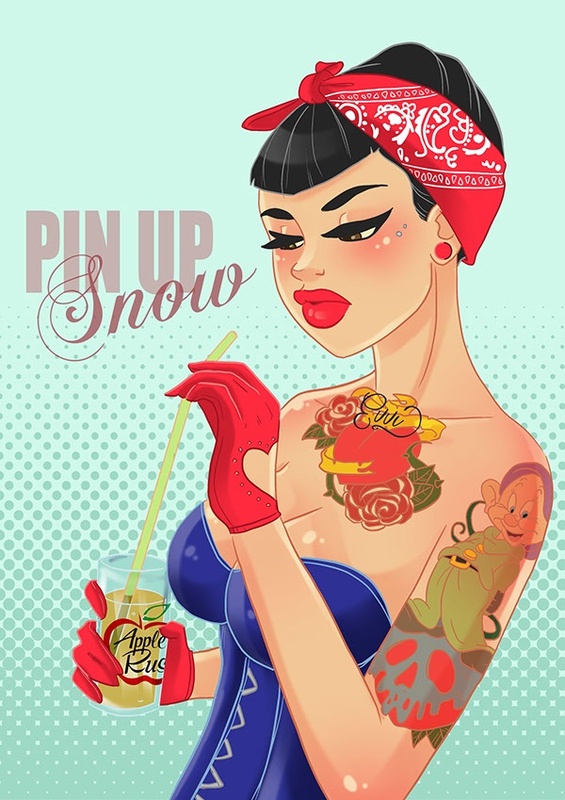 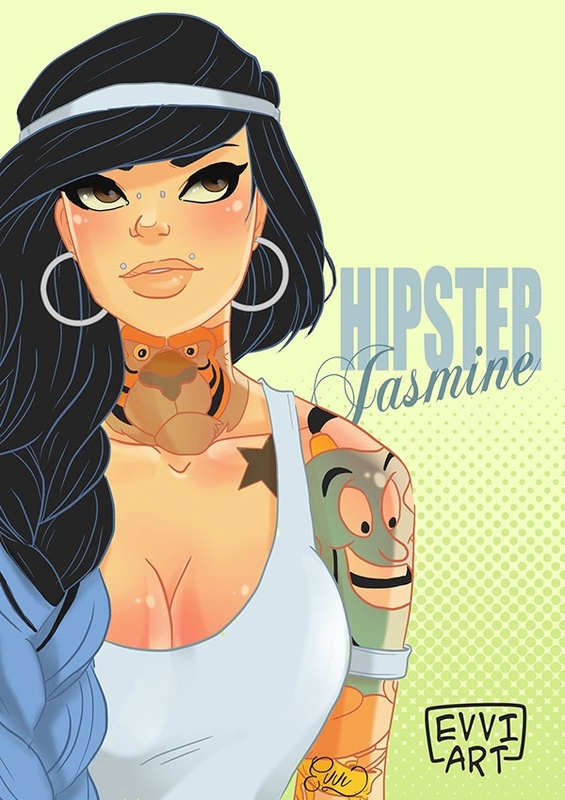 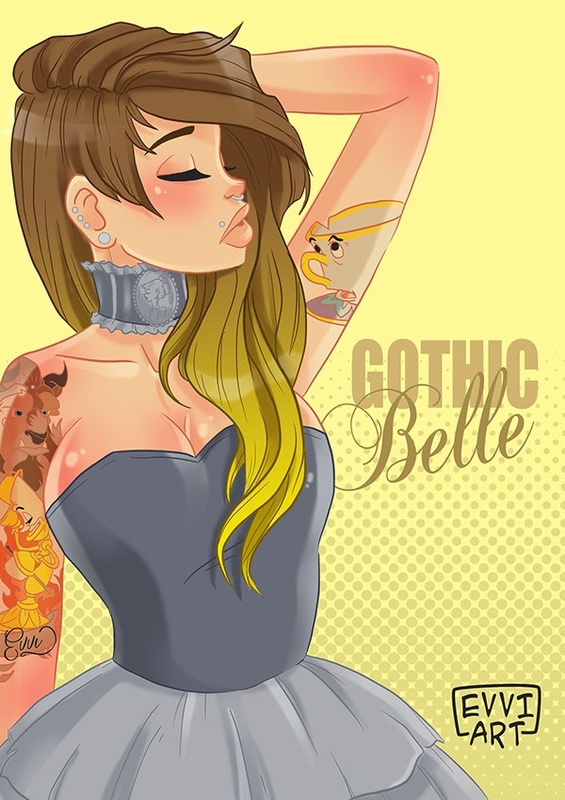 This set of Disney princesses reimagined (yes, I know it's played out) with story-relevant tattoos is just too gorgeous to ignore. 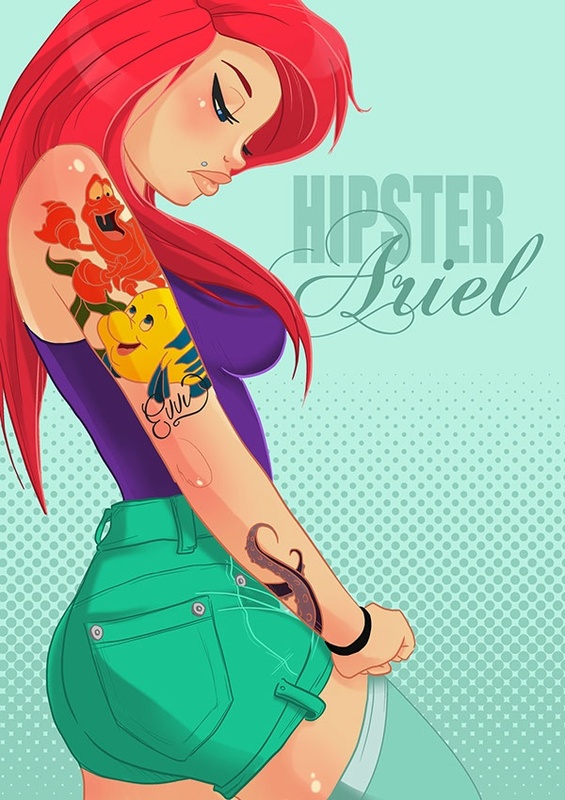 Ariel, Jasmine, Snow White, Aurora, Cinderella and Belle each get their personalised designs.